'City Club' is out now! 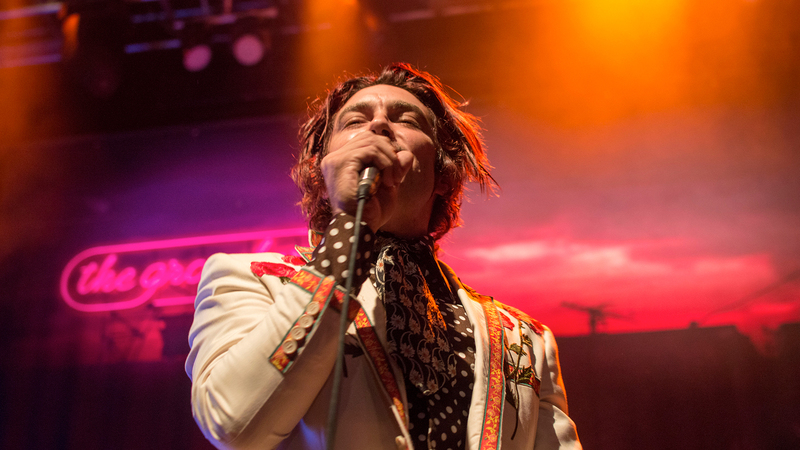 Self-proclaimed “beach goth” vibes are what you’ll get while listening to California's The Growlers' masterful blend of lo-fi, heavily emotional lyrics, and infectious melodies. When the band isn’t busy planning their annual Beach Goth music festival or skateboarding around venues, they’re onstage performing one of their many awesome tracks. The “One Million Lovers” group—singer Brooks Nielsen, guitarist Matt Taylor, keyboardist/guitarist Kyle Straka, bassist Brad Bowers, and drummer Adam Wolcott Smith—have recently been on the road playing new songs from their latest release City Club live, which was produced by The Strokes' frontman Julian Casablancas. We had the chance to catch them at the famous 9:30 Club in DC while on their City Club Fall Tour. The “Night Ride” rockers played an impressive set jam packed with beach vibes and grunge tunes and also celebrated their bandmate Kyle’s birthday! Check out our photos below and make sure you’re tracking them on Bandsintown.